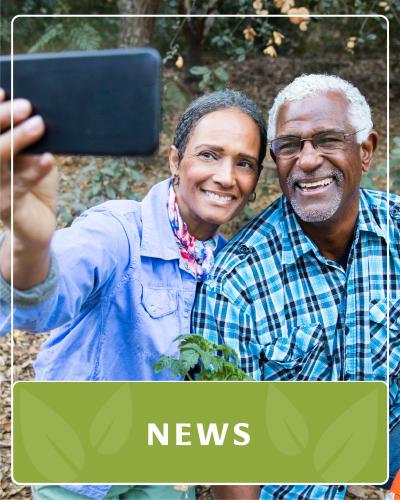 Affinity is a refreshingly new option for those looking to get the most out of life. 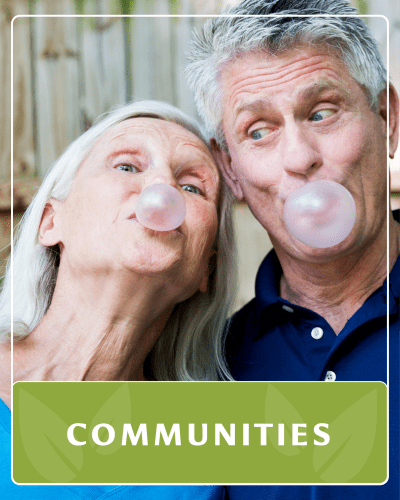 Our communities are specifically designed for active, mature adults. 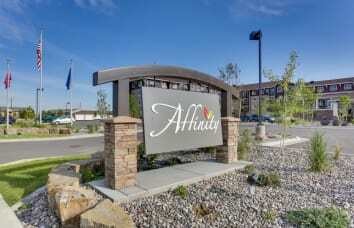 Because we design and build our own communities, Affinity rivals condominiums in space, quality and features. 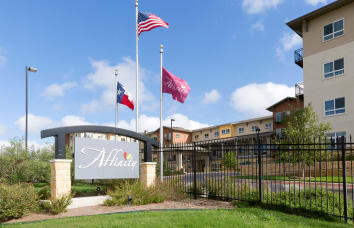 Affinity is NOT senior living. 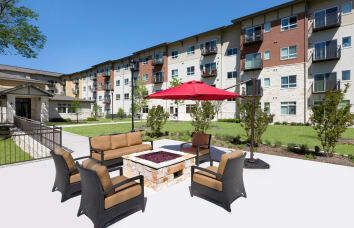 Our lifestyle was created for people who want lots of resort-like amenities, a great quality of life and affordability. 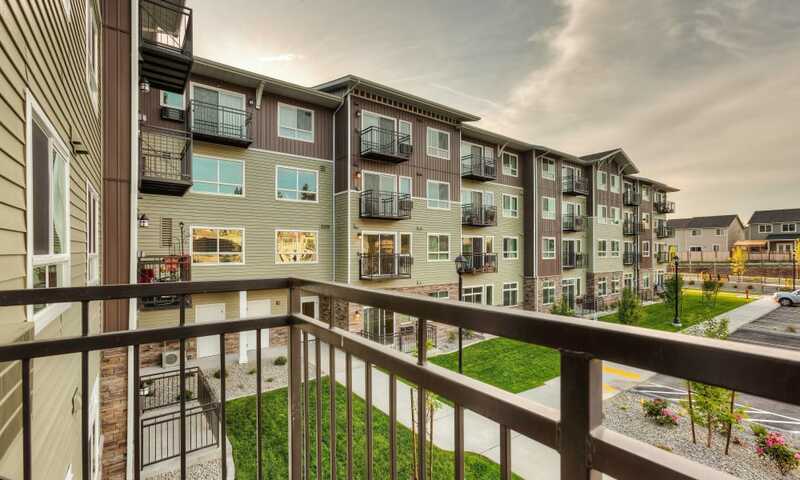 We believe that people weren’t meant to live in tiny boxes that all look the same. 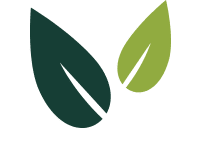 Our goal is to create communities that exceed the industry in quality living and desirable locations. 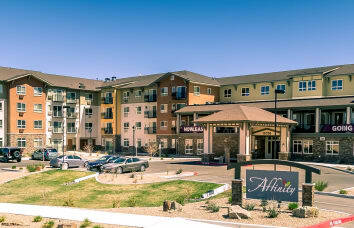 Residences at Affinity come with 30,000 square feet of extra living space and a host of included amenities—which means that on days when you prefer to stay close to home, comfort, companionship and recreation are right down the hall. 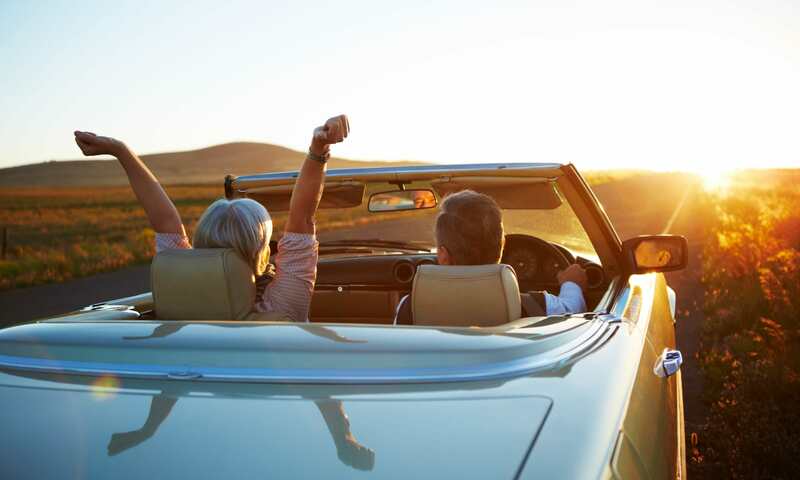 When the road calls your name, you can lock the door and leave with total peace of mind and complete security. 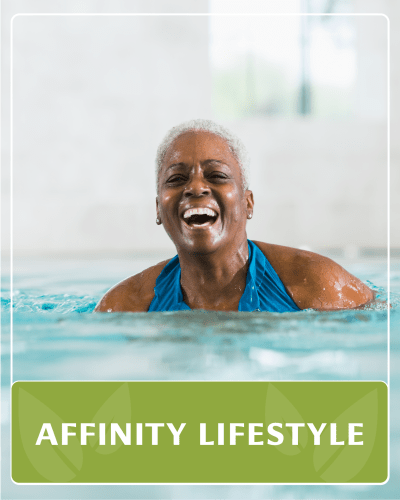 Whether you’re retired or not, living at Affinity is a great strategy for downsizing without compromising on your active lifestyle. 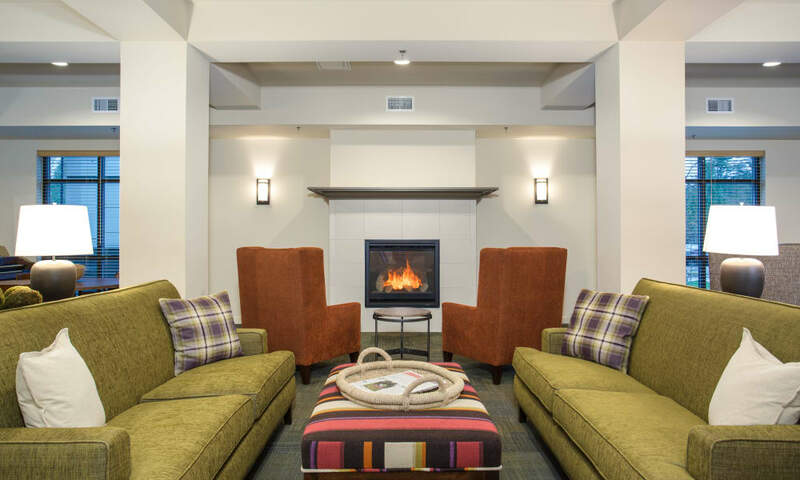 Because there’s no buy-in or entrance fee, all the perks of life at Affinity are available to you for one affordable monthly rent check! 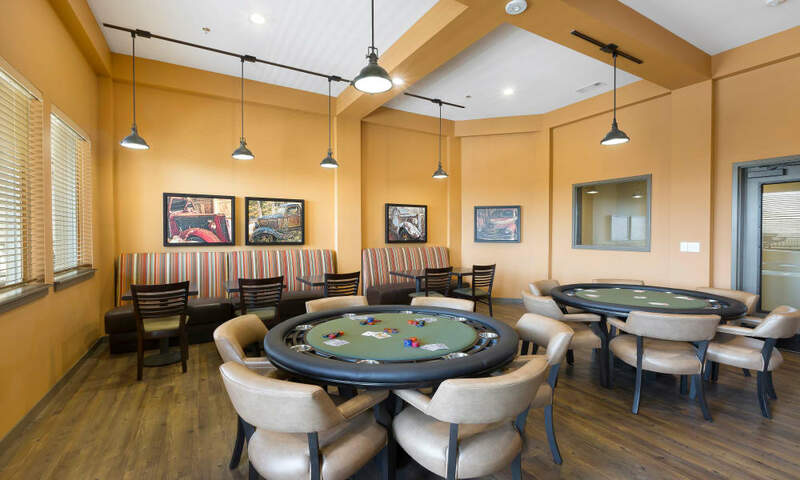 We choose locations within walking distance of a wide variety of amenities including restaurants, grocery stores and services. 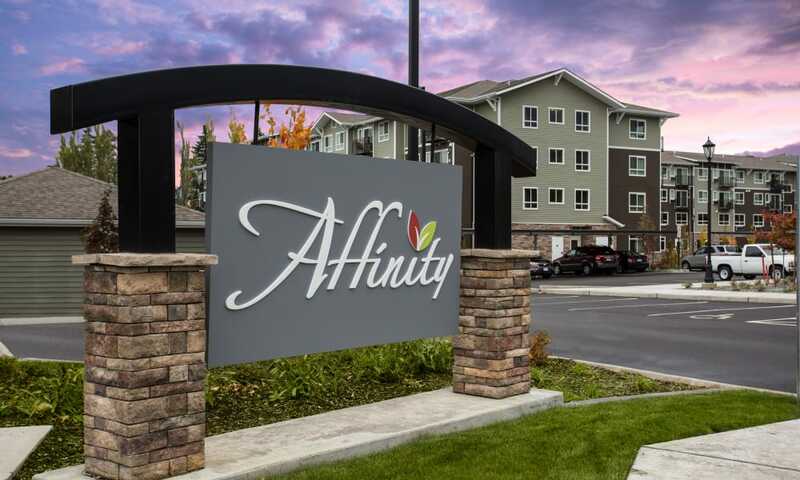 Affinity offers a welcome atmosphere from the moment you drive up to our front doors. 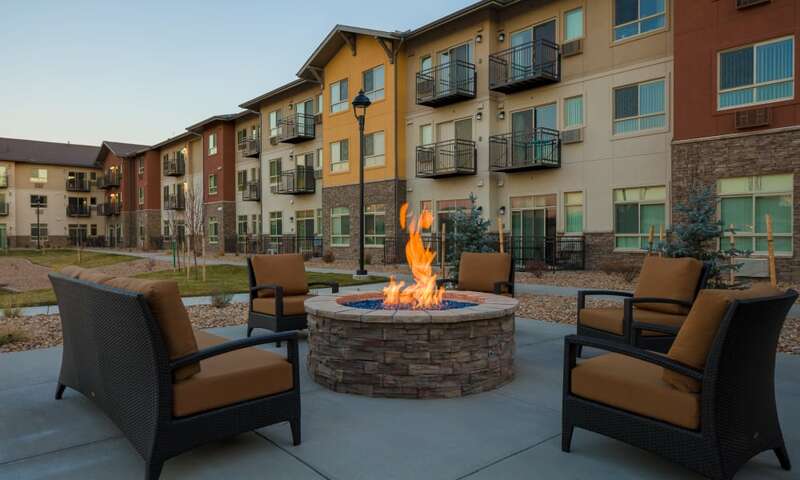 Enjoy a comfortable outdoor seating area around a cozy fire pit. 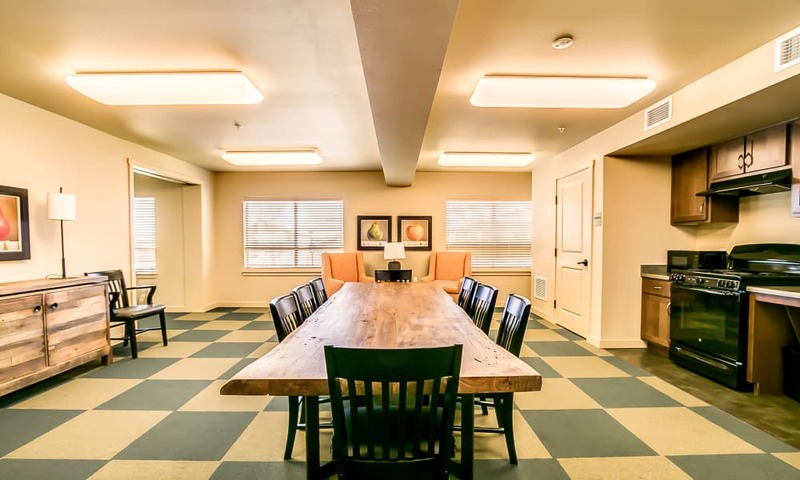 Our condo-like apartment homes are attractive both inside and out. 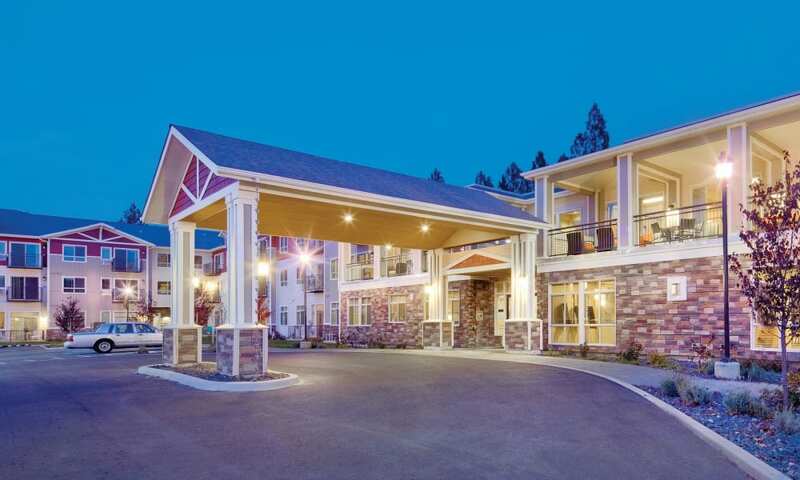 Affinity feels like home from the moment you walk in the doors. 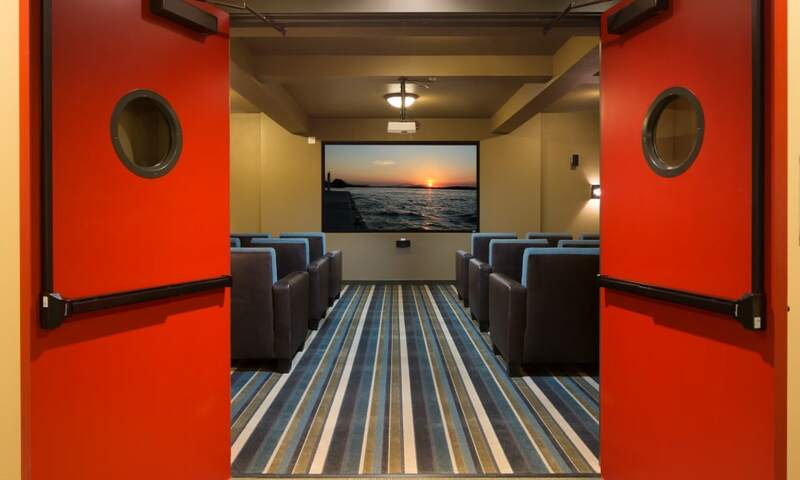 Your furry friends are welcome here. 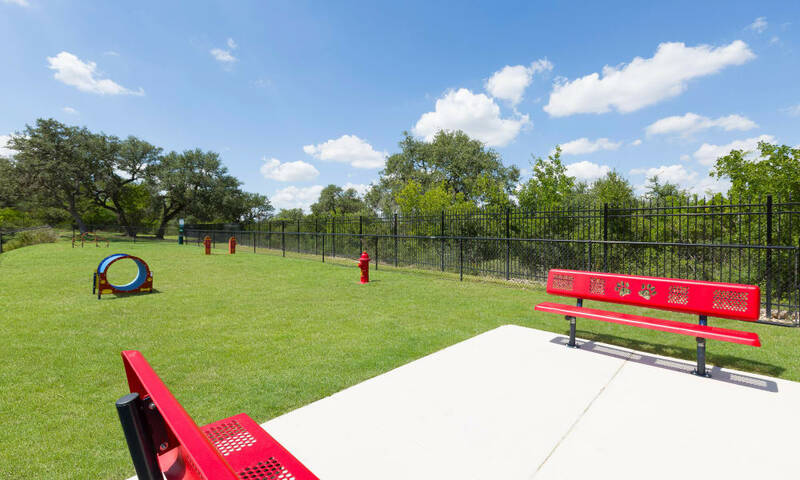 Most locations have a pet play area and dog wash stations are being added to some. 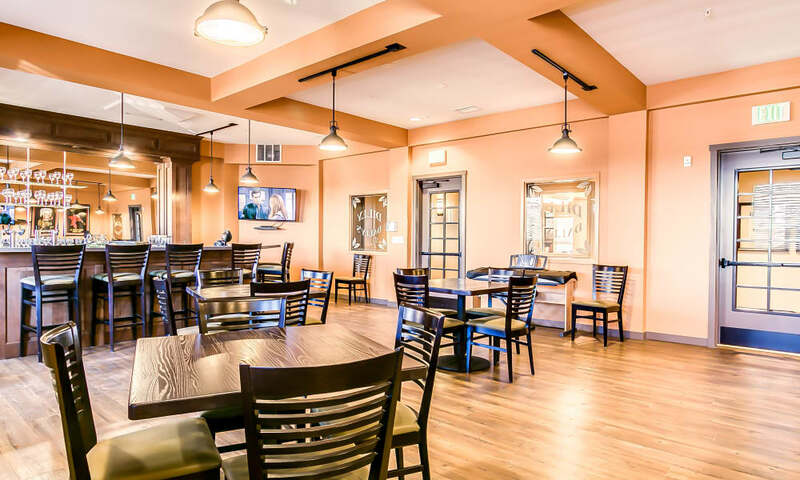 Meet friends and neighbors for happy hour at our onsite Irish pub, Dilly Dally’s Pub. 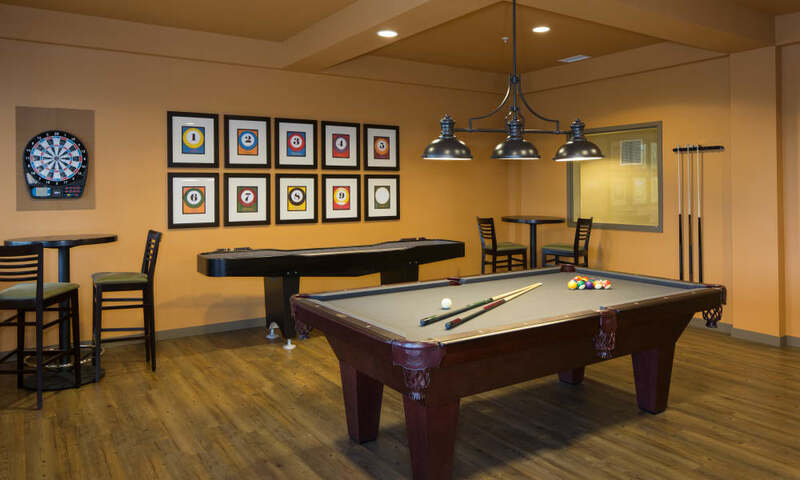 Billiards and game rooms are the perfect complement to Dilly Dally's Pub. Relax OR get active in our sparkling indoor saltwater pool and spa. 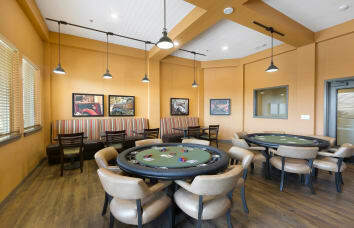 Our family dining room offers a spacious place to entertain friends and family. 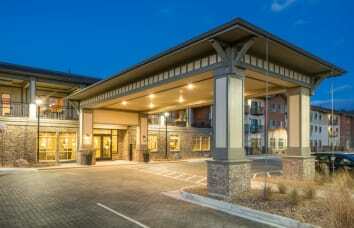 It’s fully equipped with stove, refrigerator and dishwasher. 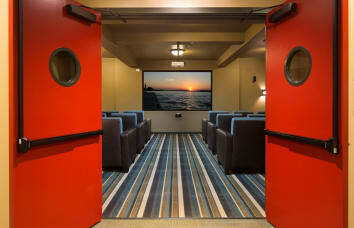 Residents and their friends and families gather for movie nights in the large theater, complete with movie-style popcorn! 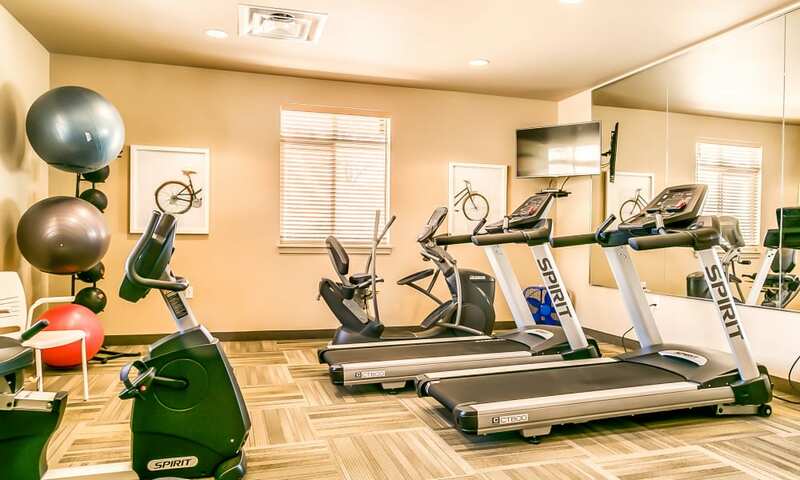 The fitness center is fully equipped with state-of-the-art exercise equipment. 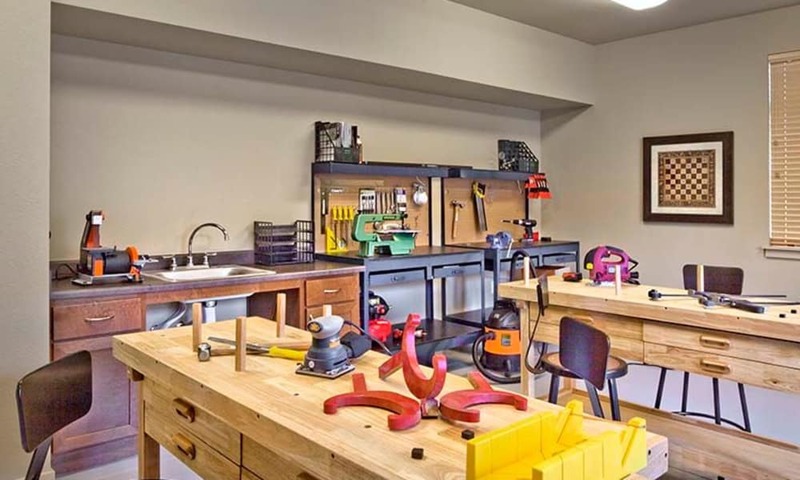 Our workshop can handle woodworking and small projects -- with work tables, storage and all the tools to build. 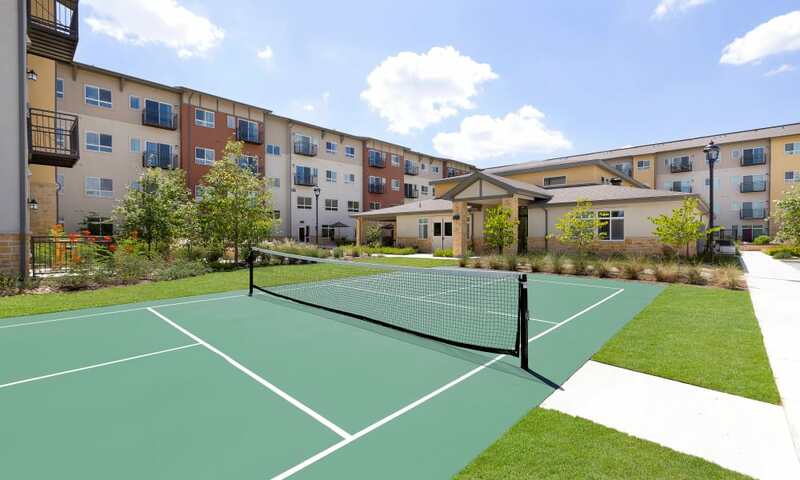 As pickleball has become increasingly popular, many of our communities offer a court onsite! 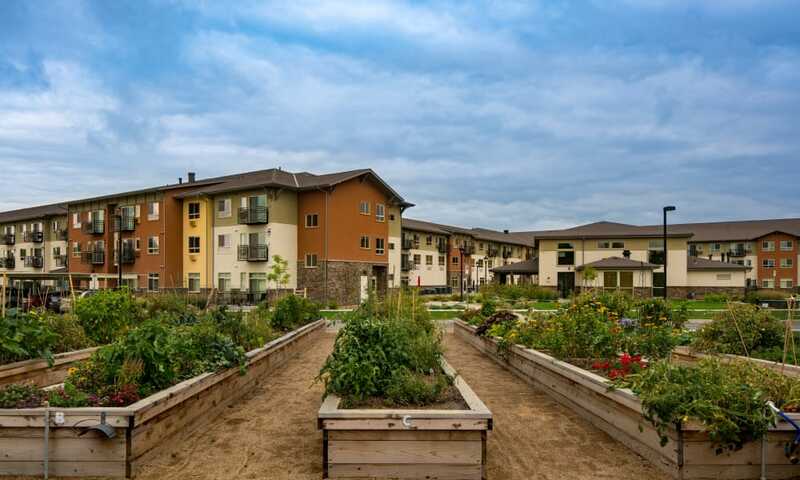 Our raised-bed community garden lets your green thumb flourish while providing bounty for your table. 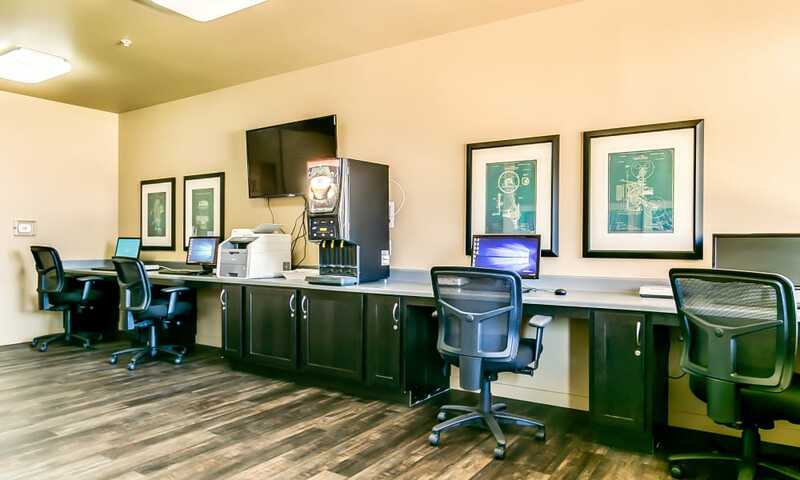 Check your email, social media and use the printer in our Internet Cafe. 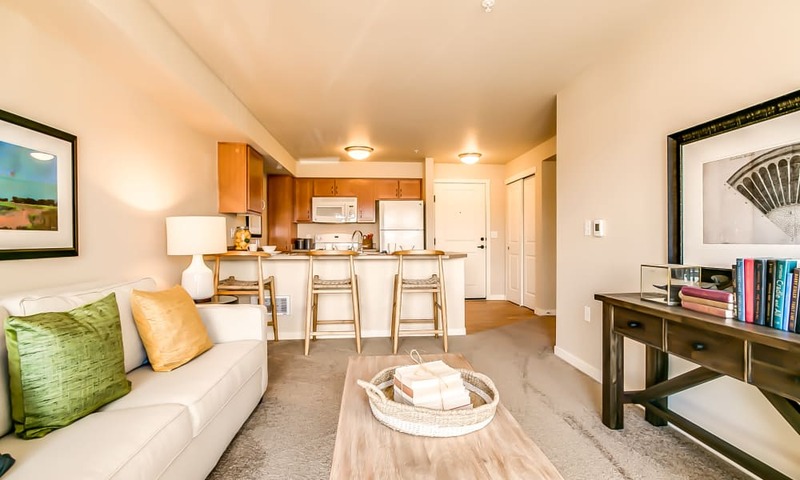 You'll love the spacious, open floorplans in our apartment homes. 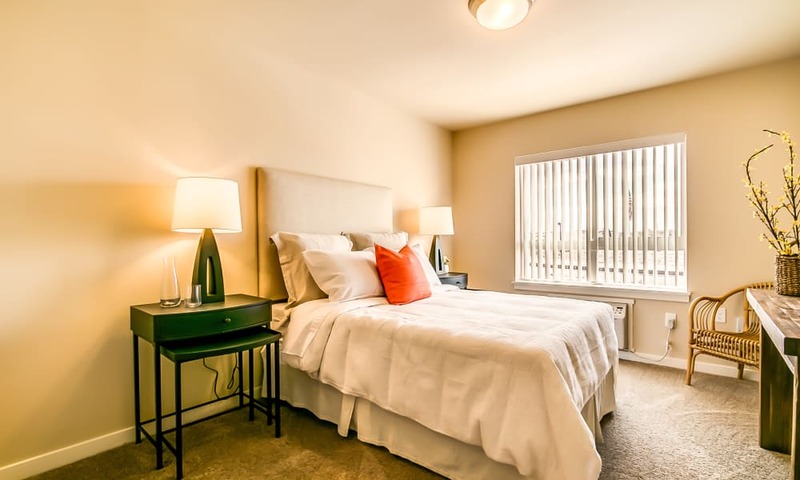 Our bedrooms provide a tranquil place to get your best rest. 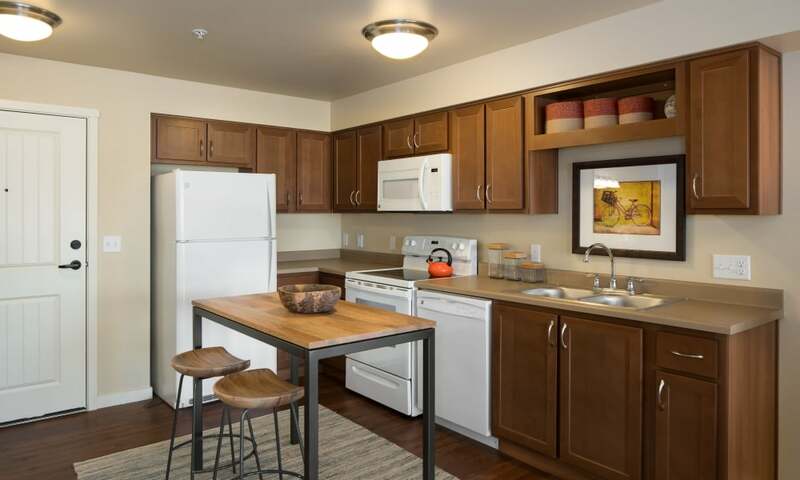 All of our apartment homes are equipped with full-size appliances.